So over the past year or two there certainly has been a rise in the popularity of a certain spirit! It’s something I wouldn’t have even thought about drinking until a little trip to a festival came on to my agenda and ever since I’ve been obsessed. From tours to tastings I’ve fully immersed myself in to the world of GIN! Yes there has been a boom in Gin sales with more and more independent Distillery’s popping up all over the UK! This year I had visited two tours as well as two different Gin festivals and I intend to carry this on in to 2018! 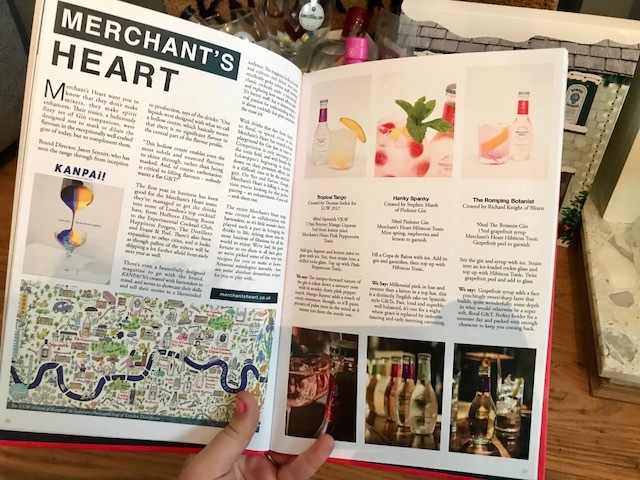 As for the end of this year I thought why not pull together the best gift guide ever and fill it with gin. 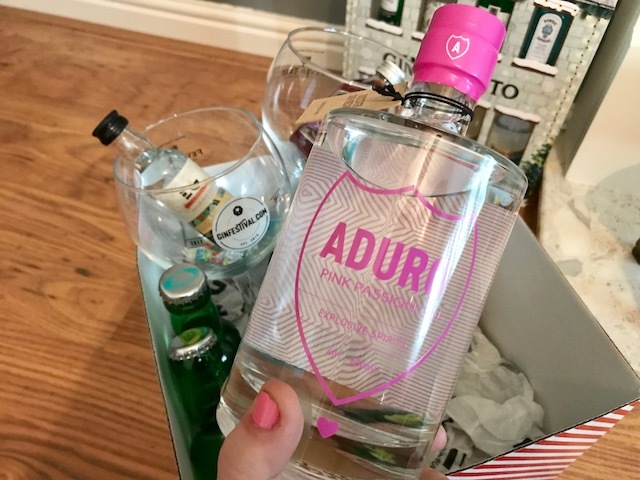 I have seen so so many Gin themed gifts so I had to jump on it and share with you some fab bits and pieces. 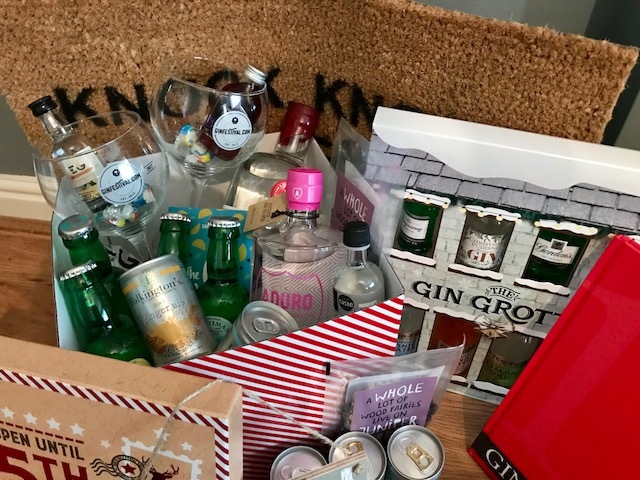 Leading on from this the official Gin Festival website has a range of fantastic gifts that would make the best Christmas presents. 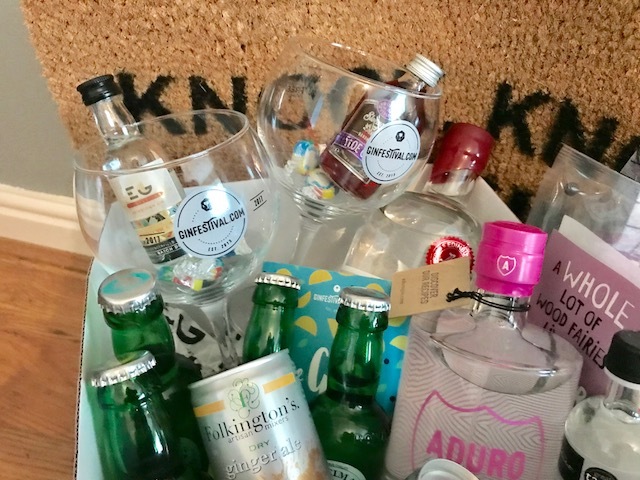 The Gin Festival in a box is so perfect as you receive a full bottle of gin, 6 tonics and two glasses! I have packaged this in a nice Christmassy box and added a few extras in to make the ultimate gift. 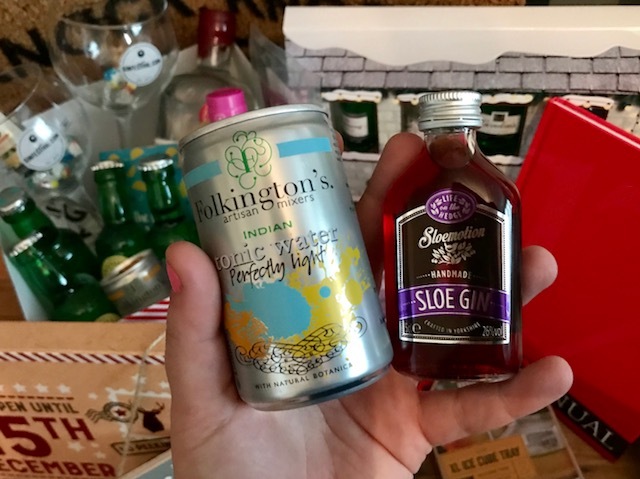 The small cans are from Folkingtons they are perfect for pairing up with a small bottle of gin as a little stocking stuffer or even putting them with a glass as a mini at home festival. The minis I have picked up are the Sloe Motion Gin which I have tried in the past and loved! 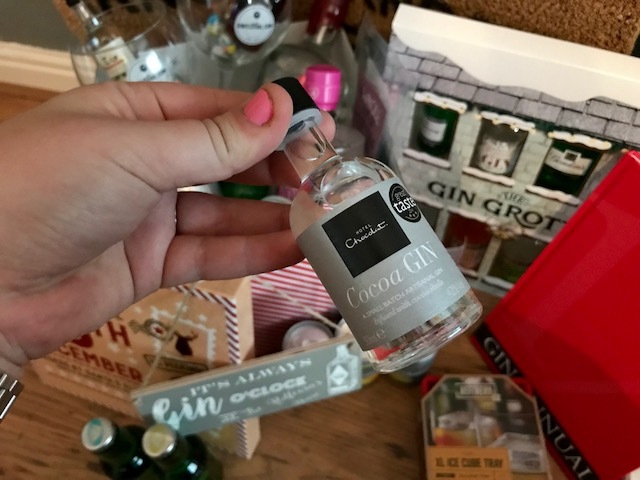 A Cocoa Gin from Hotel Chocolate I havn't tried this but I thought it sounded pretty interesting and was worth a try and finally I found this Christmas gin on my recent trip to the Edinburgh gin distillery and thought my mum may like it! 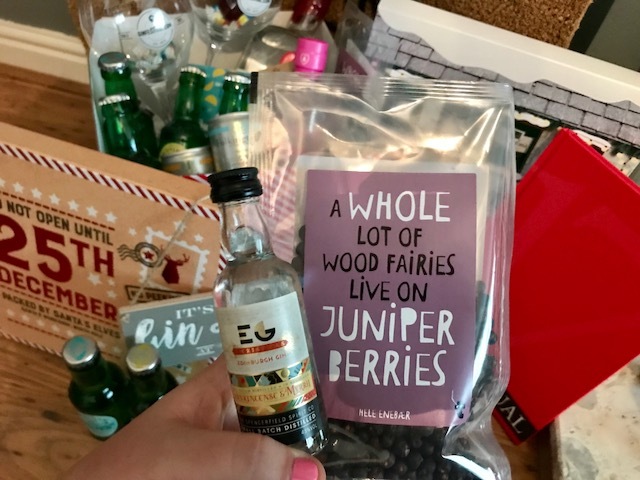 Finally I bought a few packs of Juniper Berry’s they are great accompaniment to your glass of gin and tonic and I think they look great added in to the box! 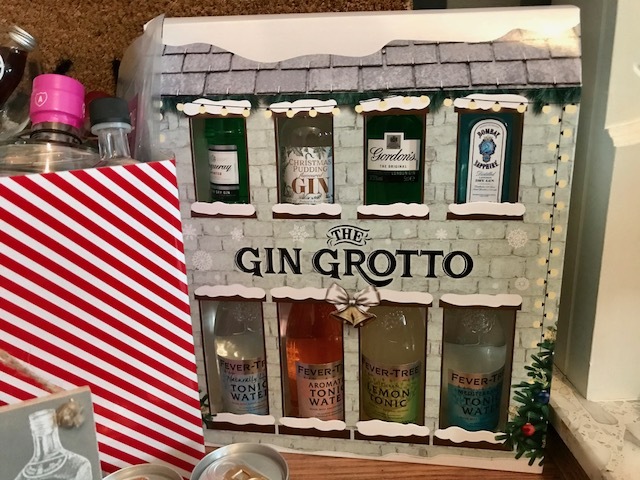 I picked up this Gin Grotto from Asda and it was only £12 !! I thought it was too much of a bargain to leave behind. Complete with 4 different tonics and 4 different miniature Gins I thought this would make a lovely gin for someone hoping to try a few different flavours. This one also includes a Christmas flavour Gin! 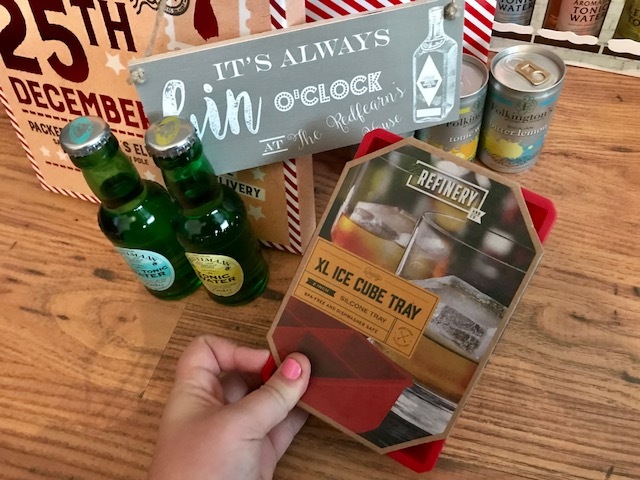 The little sign I got on Ebay which you can personalise with your family name on, again this wasn’t very expensive and I thought it was a nice addition to the Gin gift box I put together. For the absolute gin fanatics in your life why not buy them the 2017 Gin annual! I know that Darren will love this as it’s really interesting to read and I personally think it’s something a bit different which you wouldn’t think of buying. 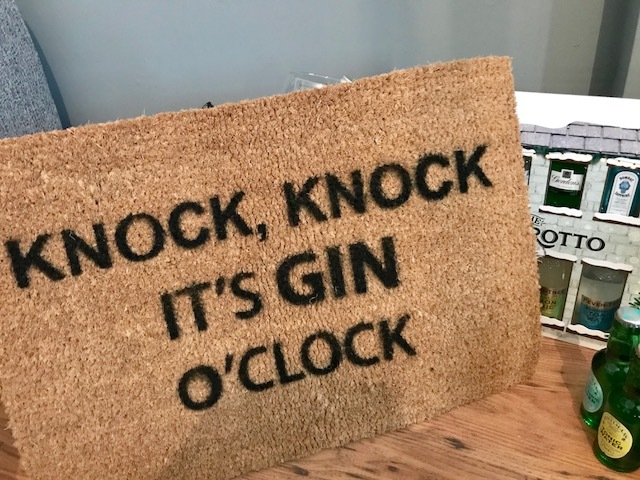 That concludes this years Gin themed gift guide, I know there are lots and lots of crazy gin themed things on the market these days but I choose the things that will go down very well in my house on Christmas Day! I hope I have given you some ‘Gin-spiration’.